All year you spend time with your pets – and at holiday time they like to come too. 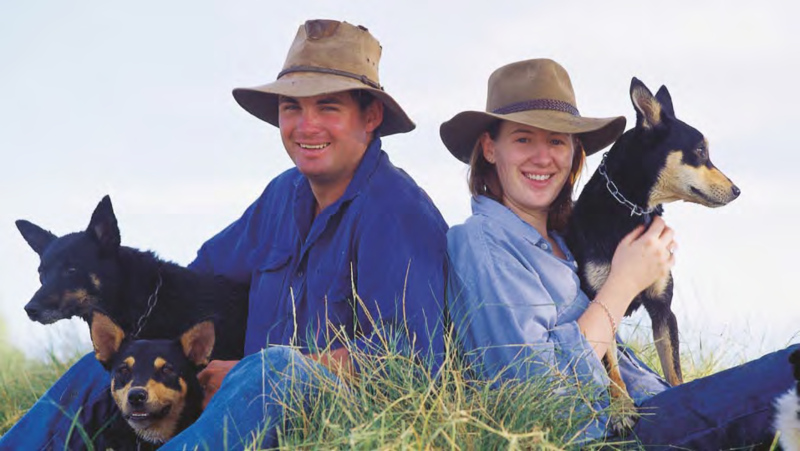 Rex, Red, Buster and Buddy – as well as Sasha, Missy and Jess – love nothing more than a holiday. Certainly, they seem to like it more than a boarding kennel for a week or two. But it’s not always as simple as throwing a blanket on the passenger seat and heading down the highway. 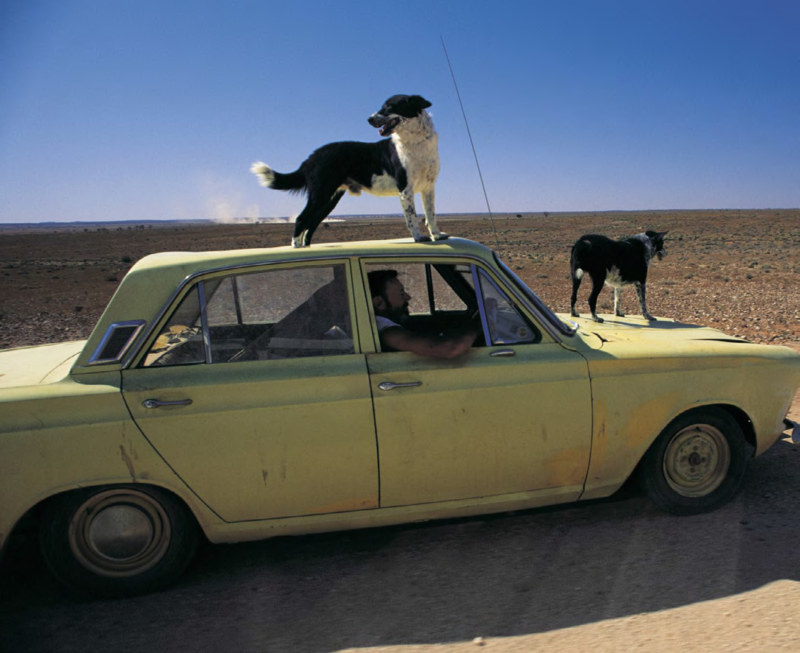 Travelling with a four-legged friend can add real companionship, but it also requires some planning. These things include thinking about whether your pet is used to travelling in a vehicle. If not, take it for a test drive and see how it copes. Some relatively calm pets turn back to animals once they’re trapped inside a moving vehicle. It is important that you invest in restraints, or – especially in the case of felines – transport crates. Also, consider where the animal will be sitting while you’re on the road, and ensure there is enough fresh air, as well as heating or cooling. Then you need to make sure all their ID is up to date – some holiday parks insist pets be registered, for example, as well as having proof of current vaccinations, worming and even flea prevention. Make sure your animal has a collar with current identity tags, including both home and mobile numbers in case it goes wandering – there is a greater chance of your animal getting lost in unfamiliar surroundings than at home. Be prepared to make plenty of stops to allow them to stretch their legs, have a drink and do their business. The more stops, the better. Never leave your animal alone in the car: they can die of heatstroke in a matter of minutes. Also, dogs and cats with white fur are at risk of sunburn, so make sure they can escape the elements, particularly on beach holidays. If you’re staying at a beach, be sure to check that the beach allows dogs on the sand. 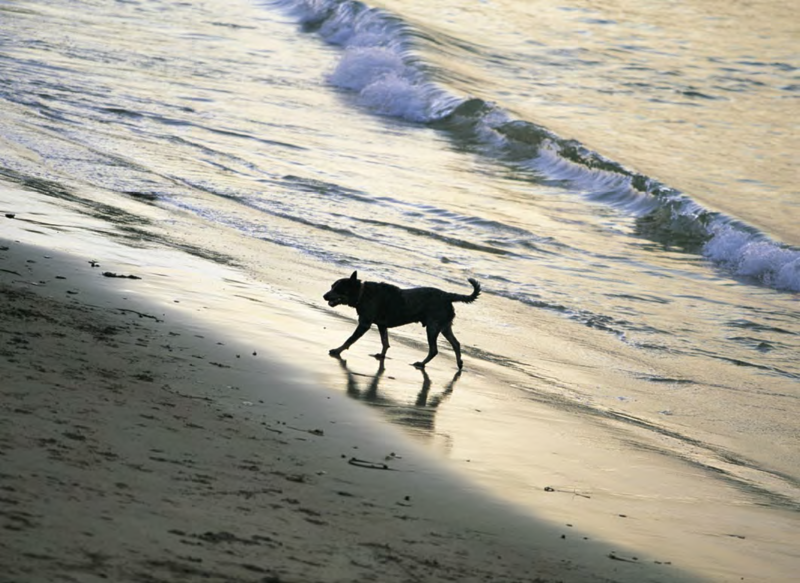 Some beaches are completely petfree or have certain pet-friendly hours. Of course, you’ll have to take the usual things your pet needs on a daily basis, but you may also want to consider putting together a pet first aid kit. These are similar to human first aid kits, but in pet sizes and can be bought at some pet shops or online at the RSPCA superstore (www.worldforpets.com.au). A pressure bandage is a must to restrict the blood flow in the case of snake-bite – the same as with humans. However, dogs can be more likely to be bitten as instead of running away, they might confront the snake. You can also ask your vet about the area where you are travelling, to see if there are any additional health risks for your dog, and choose travelling locations where there is a vet close at hand in case of emergencies. Although you might be tempted to change your pet’s diet on holidays, it’s important not to drastically alter your animal’s routine because this could lead to an upset stomach or digestive problems. One vital thing to consider is whether pets are accepted in the places you intend to stay. 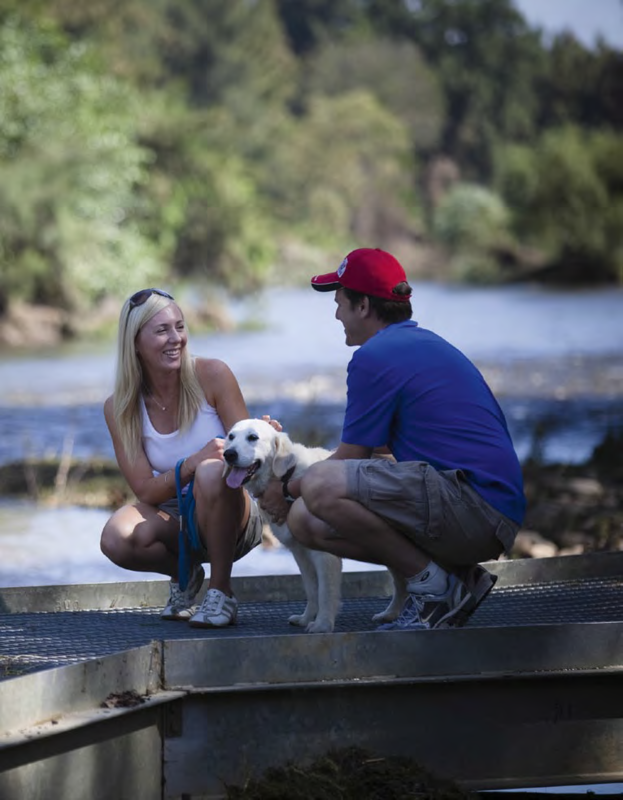 You can do a quick check of The Wanderer’s Mate guide – there is a little icon of a dog on holiday parks that are pet friendly. Usually this is ‘conditional’ which could mean any of a variety of things, from relying on the manager’s discretion to a simple restriction such as keeping the dog on a leash, or perhaps a long list of requirements. Some holiday parks pride themselves on being pet friendly and even promote themselves as such. 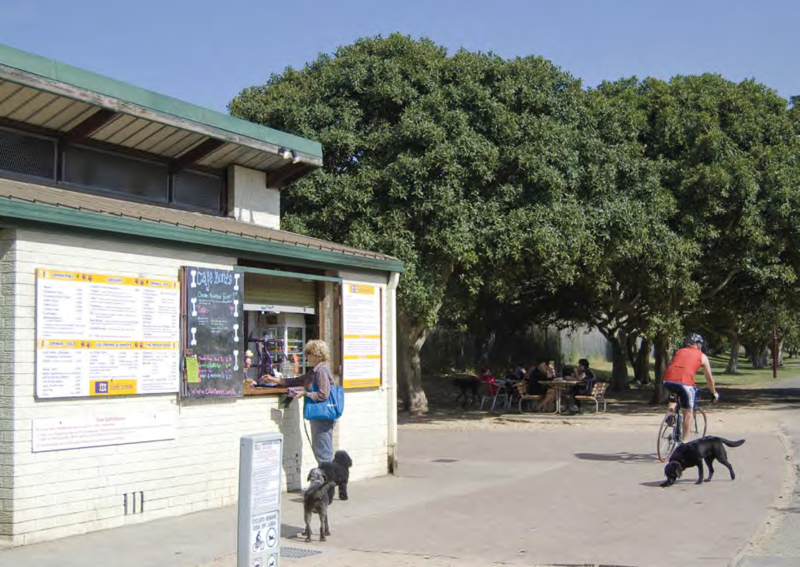 As an example, we’ll look at the Tathra Beach Family Park near Bega on the New South Wales south coast (1300 527 010). They advertise a pet friendly policy where your best friend is welcome. They believe dogs are part of the extended family and therefore should be welcomed to the Park. However, they have a list of requirements that include ensuring that all dogs are registered and desexed. Pets are welcome all year on site (and in one pet friendly cabin) except for the four-day Easter weekend and the Christmas school holidays. Guide dogs are always welcome any time of year. That of course applies not just to this Park, but to any public place as there is a legal right for a person using a harnessed guide dog to enter all public places, including restaurants. The Tathra Beach Family Park also requires that dogs be kept on a leash whenever it is outside the campervan or cabin. 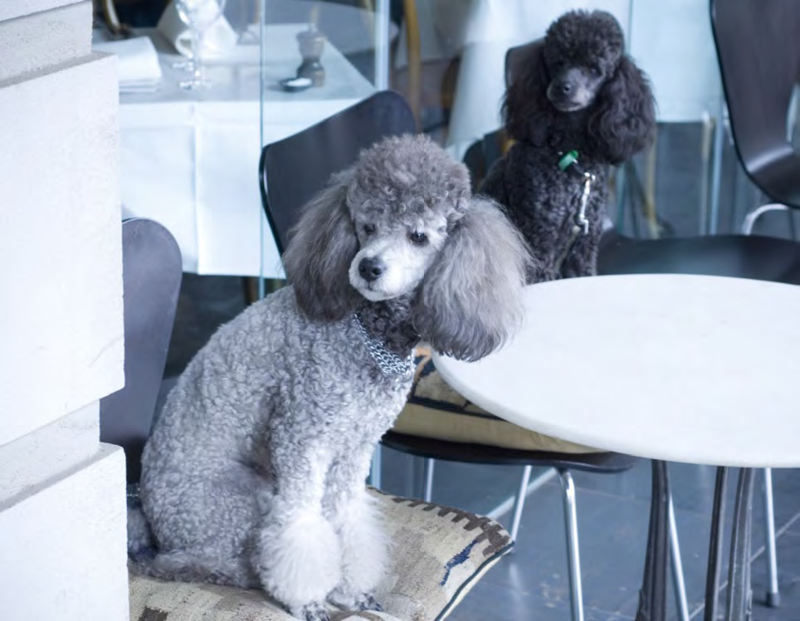 Disturbances such as barking are to be kept to an absolute minimum to ensure that other guests are not inconvenienced. And of course, you have to clean up after your dog. They don’t allow dogs in the accommodation (except the pet friendly cabin), the amenities, pool, playground or laundry. Again, guide dogs are excepted. The dog owner is always responsible for any damage to property and – heaven forbid – any personal injuries. It is also common in agreements that the park be indemnified from liability if there is any damage caused by your animal. If you’re staying in a cabin and dogs are allowed, they would tend to be restricted from certain areas – such as the carpeted areas and beds – with the risk of incurring an additional cleaning fee. Also, check out the Holidaying with Dogs website to find Five Paw Awarded accommodation. The rules for national parks vary from state to state, and even region to region and park to park. It’s best to check with each park you intend to visit. But as a general rules, pets – and dogs in particular – are not greeted enthusiastically to say the least. There is a very simple reason for that. Dogs are predators and tend to be enthusiastic carnivores. National parks and reserves are refuges for native animals. That is one of their main reasons for existence. Although family pets might be sweet and relatively docile at home, they can quickly click into their natural mode and want to chase and kill animals. This might not be true of all dogs, but there is certainly an underlying tendency that makes it prudent for national parks to generally restrict dogs. Another reason is that dogs (and cats) may run off, become lost and go feral. Then, if they don’t die first, they can fine-tune their inert hunting skills and become killing machines. 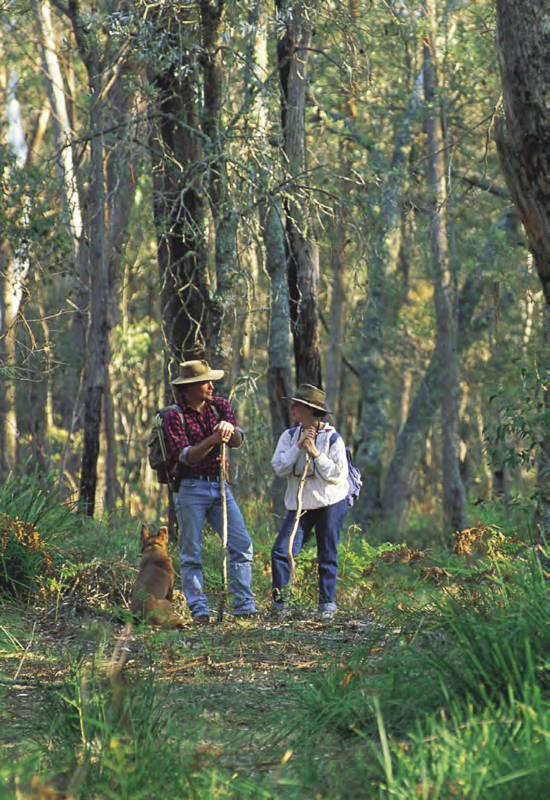 Dogs and other domestic pets (other than trained assistance animals such as guide dogs) are generally refused entry into national parks, state conservation areas, nature reserves, historic sites and Aboriginal areas. As well as the reasons mentioned above, dogs also leave a scent. This predator-scent can be so overpowering for small native animals that they will flee the habitat, sometimes leaving their young unprotected. As well as the obvious problem for the native animals, it also leads to less enjoyment for visitors to the parks because they can’t enjoy the presence of the native animals anymore. Also, dog waste can carry diseases that might be harmful to wildlife. However, there are some regional parks where dogs can be walked – some leashed, and some unleashed including beaches. Of course, you’re still expected to clean up after your dog. Always having your dog ID-tagged in some way. Often people make temporary tags with the campsite/accommodation address on it, in case the dog runs into the surrounding area. Micro-chipping is also a popular option. Always pick up and dispose of any dog droppings. Be aware of what provokes an angry reaction from your dog and know how to deal with the situation. Be sure to keep your dog warm in cold weather (especially dogs with short/ thin fur). 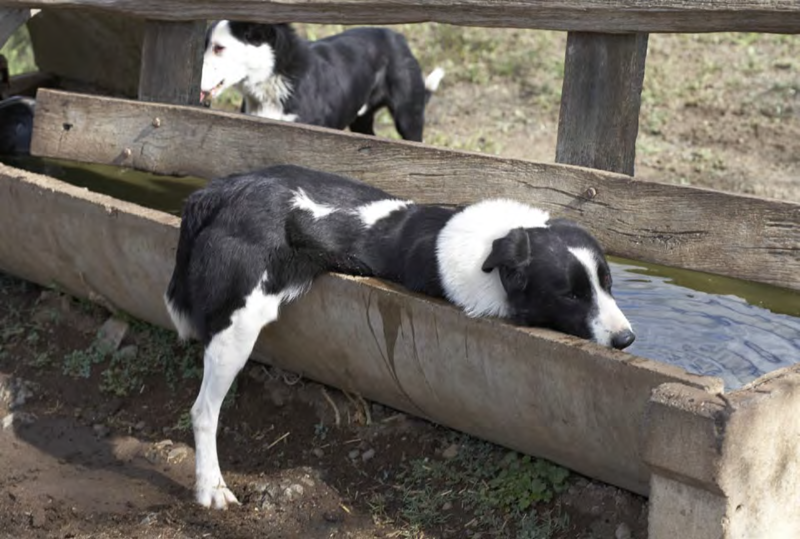 Dogs get dehydrated just like humans, be sure to have plenty of water on hand for when they get thirsty. Depending on the destination you may need to take your own water supply. While there may appear to be fresh water sources, these may contain bacteria and other harmful agents. Ensure you have a good quality leash that will withstand even an agitated dog. Even if your dog isn’t prone to biting, take a muzzle on holiday with you. With a new environment and other animals in the area your dog may react uncharacteristically. If your dog doesn’t respond well to humans or other dogs they may not be the best camping companion. 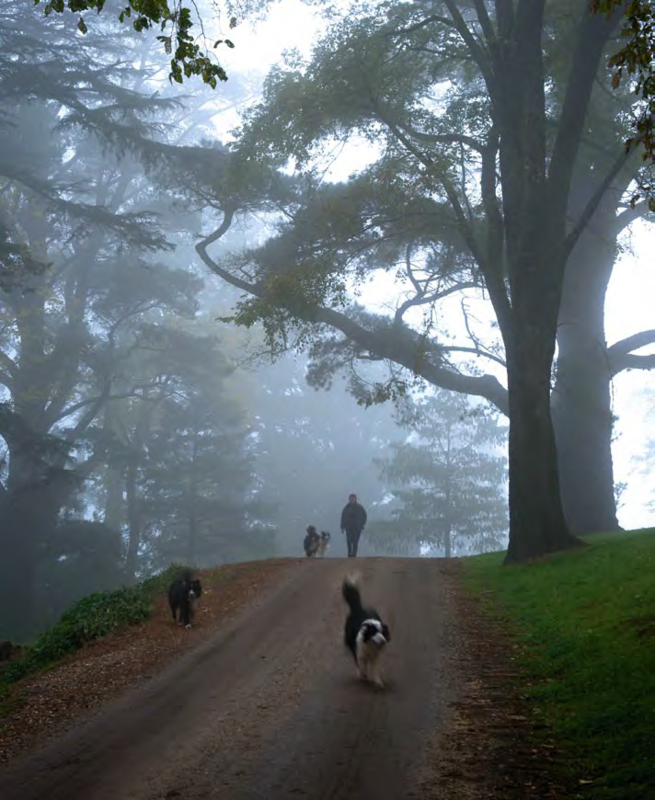 Maintain control over the dog at all times, generally this means they should always be on a lead. Ensure that the lead is made of high-quality materials and has a strong clasp to attach to your dog’s collar. Be aware that exposure to elements like the sun, salt water and sand can affect the lead’s effectiveness. Make sure the dog doesn’t make unreasonable noise, especially at night when others are trying to sleep. Pack a rope or chain that you can tie your dog up with around the campsite. If it’s long enough your animal will be able to enjoy a wide scope of the campsite but still be safely under control. Prevent the animal from jeopardising the safety of any wildlife or person.Taking the dog’s bed with you is a great way to make your dog comfortable while away. It brings a sense of familiarity to the new surroundings. You must prevent the dog from defecating in or near a water course. Your dog should be fully vaccinated before departing on your camping holiday because they may come into contact with unvaccinated animals. 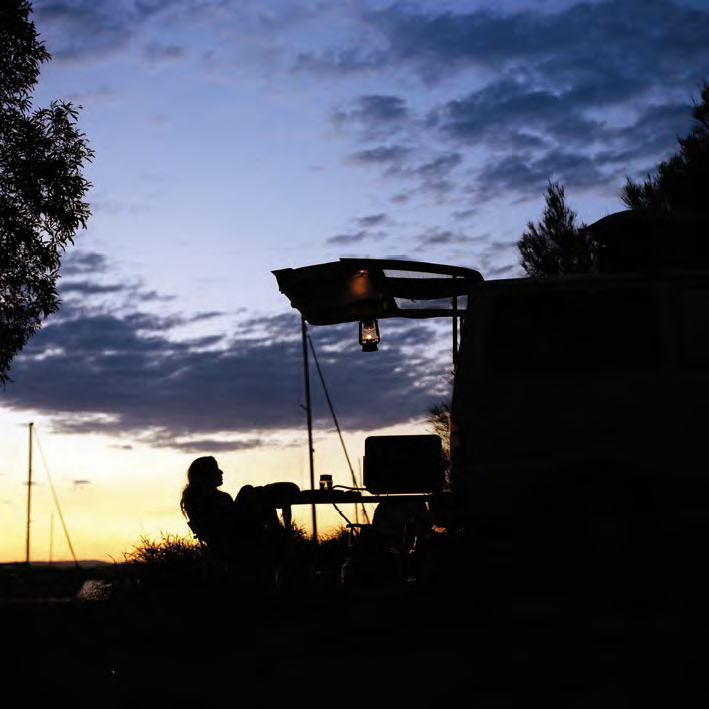 Tasmania has wide expanses of natural beauty and untouched land, providing a relaxed atmosphere for a camping holiday, and many camping destinations encourage visitors to bring along their canine friends. Some of the dog-friendly holiday park options are included below. 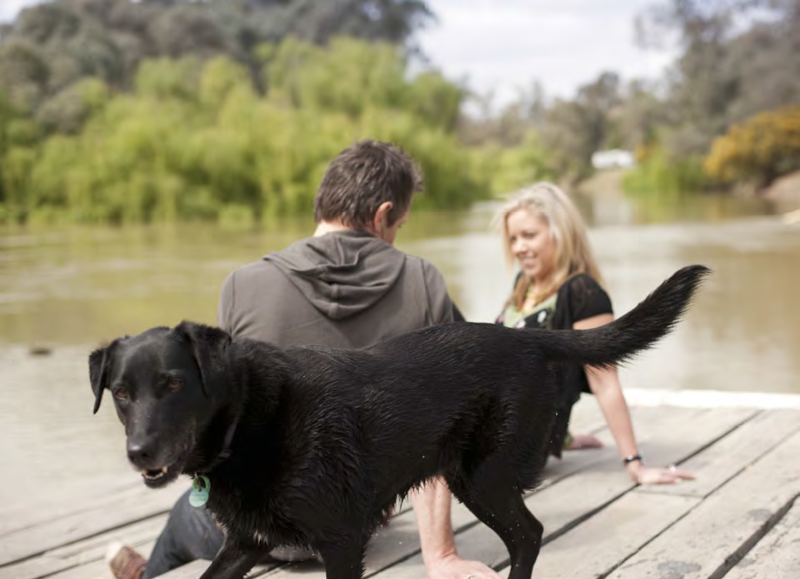 There are also a large number of petfriendly accommodation options available in Victoria. On the Great Ocean Road there is Blue Johanna Cottages – romantic self-contained cottages and in-house suites with uninterrupted views of the ocean, rock shelves and sandy beaches. Nearby are the Glenaire Cottages with amazing views, 100 acres of bird filled forest and private walking trails near the Great Ocean Road. Glenaire Cottages offers easy access to Johanna Beach and an easy drive to the Twelve Apostles. In the High Country is Allambie Cottages in Bright where the back decking area allows easy access to the rail trail and views of kangaroo families on the hills. Also in Bright is Tyntynder Cottages, surrounded by an acre of magnificent, private, mature gardens. They have fully self contained, completely renovated cottages. They won the Five Paw Awards in 2005, 2006, 2007, 2008, 2009 and 2010! 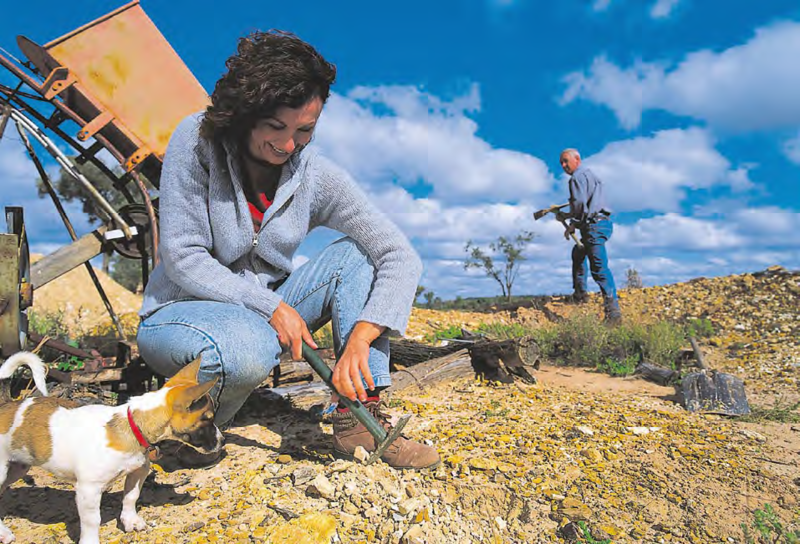 On the Goldfields is the Hollow Log Estate – Joint Victorian Winner of the 2010 Five Paw dog-friendly accommodation award. The Estate offers a choice of two superb cottages set on 27 acres in a beautiful country setting, overlooking the Wombat State Forest. It is only a short drive from the attractions of Daylesford and the Hepburn Springs spa country. On the Mornington Peninsula is Blue Moon Cottages, where stylish beachside cottages are hidden just 250 metres from Rye Beach. Couples, families and their pets are welcome.